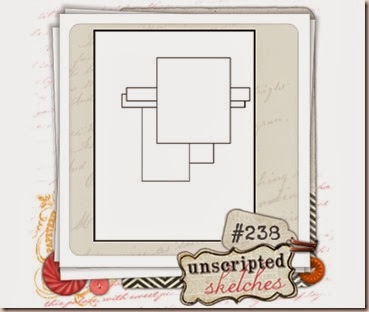 So this week I actually made something for Unscripted Sketches that has a full, proper name!! hee hee!! 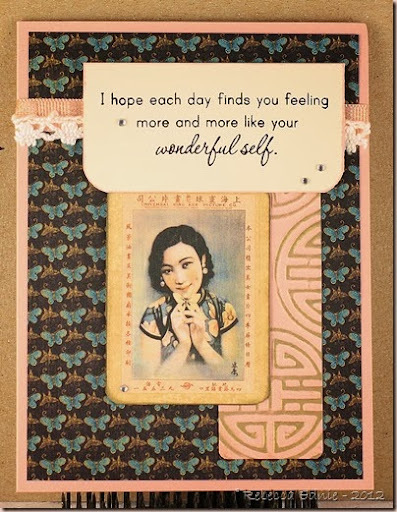 I got a gorgeous embossing folder but it was hard to use until I got some Asian paper to go along with it. As you can see, this embossing folder wouldn’t suit a lot of designs as it is very Asian. But also very lovely! I needed a couple of get well cards for some classy ladies so this was a perfect design. The gold accents are just an ink pad swiped across the edges of the paper and over the embossing. Here’s a tip for you. I didn’t want to raise the sentiment panel on two layers of foam dots. But the embossing underneath raised the lady panel up on one side so she would sit lopsided if adhered flat on the left. So I added scraps of the embossed panel under the lady panel on the left so it was balanced but still not higher than the foam raised panel above it. I also used the WRMK envelope maker to make a matching envelope out of one of the busier patterns I’m less likely to use. I’m like most and have way too much paper so I’ve got to use it up! 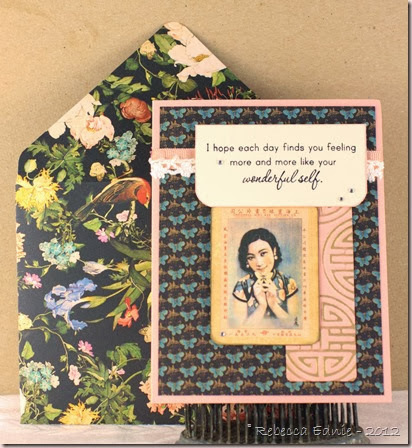 There’s always another new gorgeous paper pack on the horizon! Please come on out and create something lovely with our super talented team this week at Unscripted Sketches! You can create anything your crafty heart desires from any type of artistic or creative endeavour! Just make sure we can still ‘see’ your use of our sketch. You can rotate, flip, turn and change proportions in any way you see fit and also change one shape for another. Have fun with it, take a pic and link it up! You don’t have to have a blog to play! Paper: G45 Bird Song, Blushing Bride CS-SU!